As the fourth year of ArtMuseumTeaching wraps up, I thought it would be good to post a brief “Year in Review.” Not that we need any more end-of-the-year lists or calls for resolutions, but I think it can be meaningful to take a minute and look back at some of the issues that have been on our minds this past year. I want to thank all of the amazing contributors who have taken the extra time to share their practice with this community! Since its inaugural year back in 2012, ArtMuseumTeaching has grown from a tiny blog seedling to a robust and active online community now involving more than 60 contributors, publishing 172 posts, and being read by hundreds of thousands of people in as many as 170 countries around the globe. I hope that this online community and forum will continue to grow, include more perspectives, and be a space of exchange where we can connect on issues of teaching, learning, and community engagement that matter most for museums and the people that make up those museums. 5. “320 Hours: Slow Looking & Visitor Engagement with El Greco” (July 2015): We all talk about the value of slow looking and extended engagement with art – and this great post by Kelsey Ferreira provides such a unique insight into her experiences spending 320 hours with a single El Greco painting at the Portland Art Museum. What questions did visitors ask? What types of experiences sparked further engagement and learning? What surprisingly deep experiences did visitors bring to this stunning painting? A fantastic read for museum educators and art lovers alike! 4. “Status Update: Facebook as a Reflection Tool” (January 2015): David Bowles of the Metropolitan Museum of Art shared his insights from posting some of the most indelible teachable moments from his gallery experiences on Facebook, and using social media tools such as Facebook to add a reflective element to our practice. 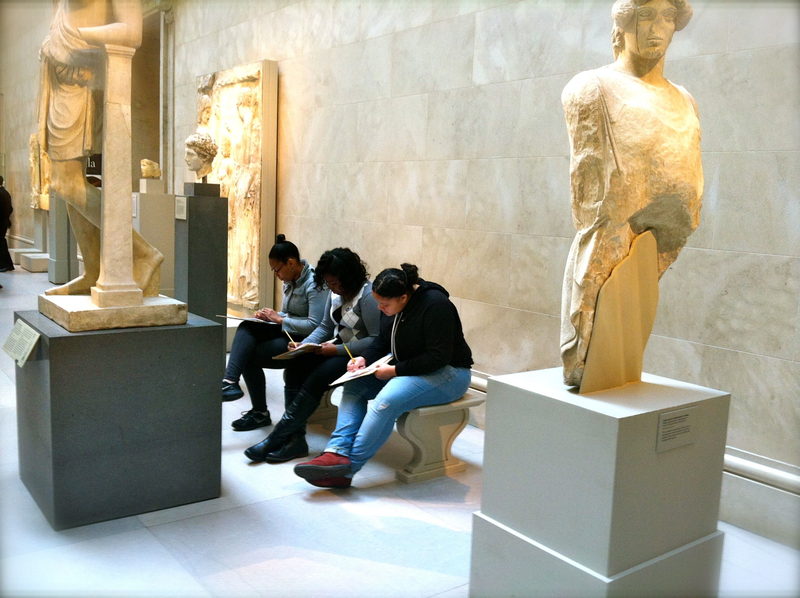 This is a great read, especially with David’s five take-aways for museum educators about student learning in the galleries. 3. 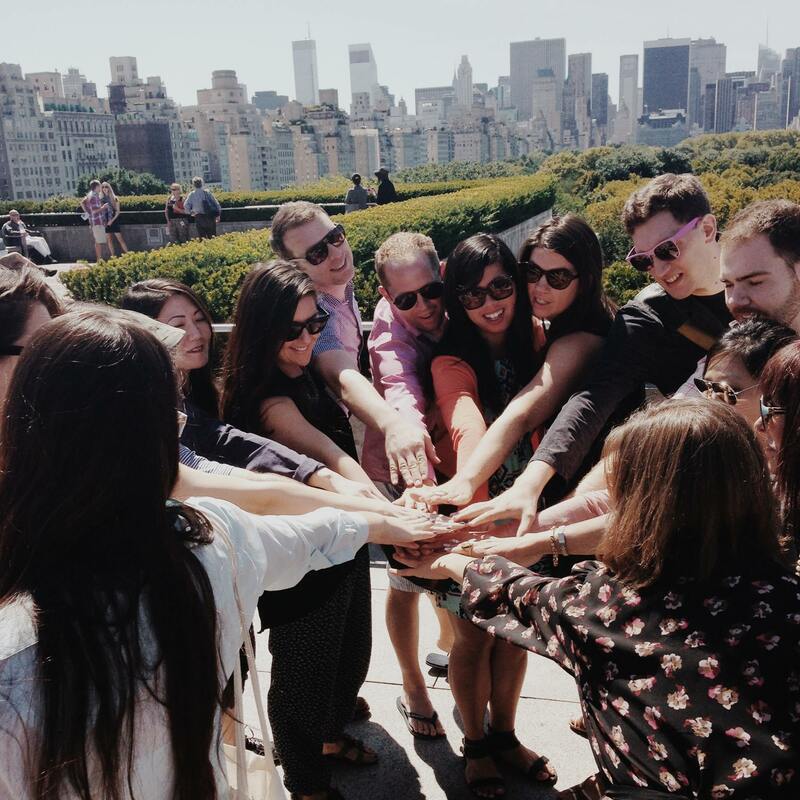 “We Flipped Our Museum – Here’s What We Learned” (June 2015): Emily Kotecki shared the work at the North Carolina Museum of Art to deepen and activate the museum learning experience through a Flipped Museum pilot program called “Artists in Process.” They developed an online learning platform to support social interaction and choice-based learning, and then worked with sixteen classes from different cities across North Carolina to research, explore, and reflect on the artistic process. Check out their ‘lessons learned,’ and read more in the Summer 2015 issue of the Journal of Museum Education. 2. “The Big ASK: Experiencing the Brooklyn Museum’s ASK App” (July 2015): Written after my own visit to the Brooklyn Museum this past summer, I briefly explored the what, how, and why of this effort to rethink the museum visitor experience. While I am still attracted to the app’s desire to make personal connections with visitors, I’m a bit concerned with how few visitors use the app considering the staff and resources dedicated to this project. But I absolutely love that the team at the Brooklyn Museum is super transparent about their thinking and planning via their blog (so awesome!). 1. 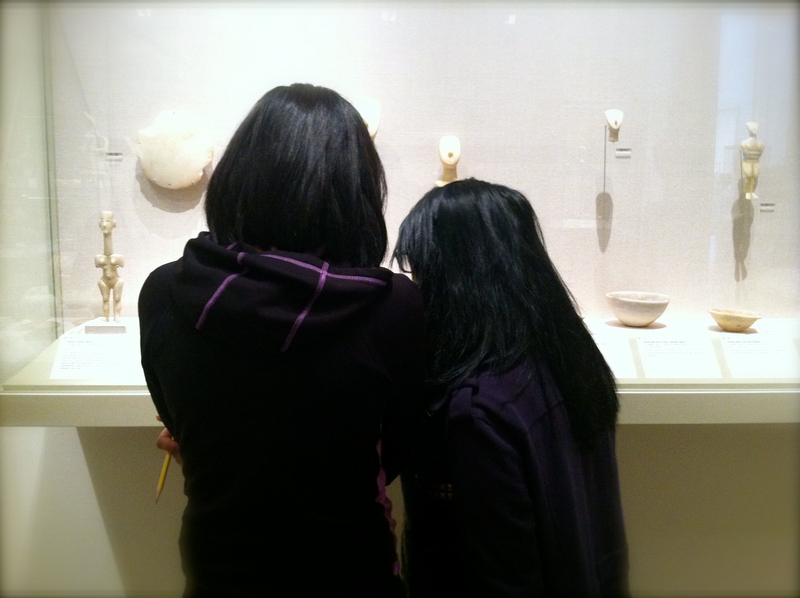 “Questioning the Use of Questions” (January 2015): In the most widely-read post of 2015, museum educator Jackie Delamatre responded to Rika Burnham and Elliot Kai-Kee’s challenge to the use of questions in museum teaching. While there is great value in questioning the use of questions, Jackie’s insightful post defends the use of open-ended questions and brings in some of her own personal experiences. And her search for the ‘Boeuf Bourguignon of questions’ is not to be missed! 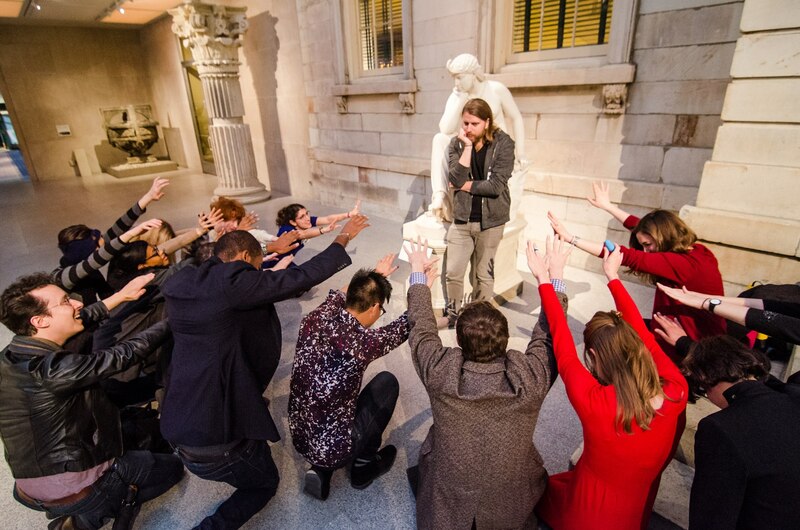 Enjoy these popular posts from 2015, and see you in 2016 — a year that promises to bring a whole new set of challenges, success stories, and new ways of thinking about both the theory and practice of museum teaching. If you would like to share the projects you’re working on or the issues and challenges you are grappling with, please add your voice to this growing community (and just send me a tweet at @murawski27 or email me at murawski27@gmail.com). 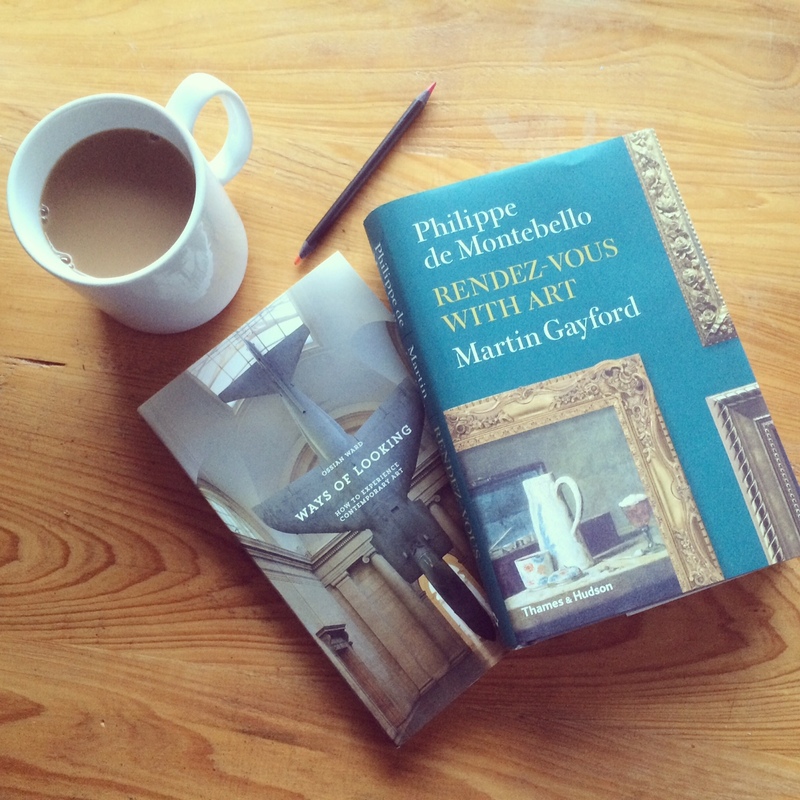 I have to admit that I am a bit of an enthusiast when it comes to books about how we look at and experience art. So when I found out about the recently published books by Philippe de Montebello and Martin Gayford as well as Ossian Ward, I was more than just a little curious (I ordered them right away and began to dig in during the winter holidays). First, let me dive a bit into the pages of Rendez-Vous with Art. This book reads like an enjoyable travelogue of the great museums of the world, retelling in lush detail a series of art encounters as filtered through the interests, knowledge, passions, and opinions of de Montebello (Director of the Metropolitan Museum of Art for 31 years, 1977-2008). At café moments and interludes, both authors engage in brief conversations about how we experience art, how we think about it, and how we look at it. The book is, as the authors write, “an attempt to get at not history or theory but the actual experience of looking at art” (9). Visiting the Louvre, the Prado, the Palazzo Pitti, the Mauritshuis, the British Museum, the Brancacci Chapel, the Met, and other notable art sites, their conversations focus on their experiences with masterpieces and lesser known works that allow them to escape the crowds of some of the more popular cultural destinations. At times, both authors seem rather grumpy about the millions and millions of people who crowd into museums to see masterworks of culture and history, but their questions about how we experience art in these contexts raises interesting issues about marketing, image reproductions, and digital collections. For example, given the deep crowds of camera-phone-wielding tourists crammed in front of the Mona Lisa on any given day, is it more valuable or meaningful to look at a high quality digital image on my iPad (here in the quiet comfort of my own home or office)? And how does our repeated exposure to beautiful, massive publicity banners and posters showings close-up details of masterpieces effect our expectations of the actual museum gallery experience with these artworks? How Do We Experience Contemporary Art? OK, let me shift gears here, from talking about experiences with Egyptian sculpture, Renaissance masterpieces, and nineteenth-century portraiture to experiencing the art of now — contemporary art that can be scattered across a gallery floor, projected on multiple walls, consuming a massive space, requiring us to talk to someone or eat something, confusing, perplexing, and having no apparent start or finish. Time: Always a good idea to start with a few minutes of calm contemplation, looking, and exploration. Take stock. Association: What is the personal resonance or ‘hook’ for you? This can be a visual attraction or a connection with a memory or experience you’ve had. Make some associations. Background: Use some basic ways to learn a bit more about the backdrop of the piece or the artist — using the title, label, press release, museum brochure or website, etc. Understand: After looking, connecting, and learning a few basic background facts, the piece is more likely to sink in a bit more. What might be some broader messages at play here? Look again: Simple as it sounds. After a bit of pondering, go back and look or engage with the work even more. Did you miss a detail? Assessment: After these first four steps, you’re now in a better place to decide whether you think the work is good or not. But Ward reminds us not to hastily jump to this step (which we all do far too often). Much about this method of looking at contemporary art or thinking about an encounter makes sense, and reaffirms many existing pedagogies and educational philosophies already informing museum practice. 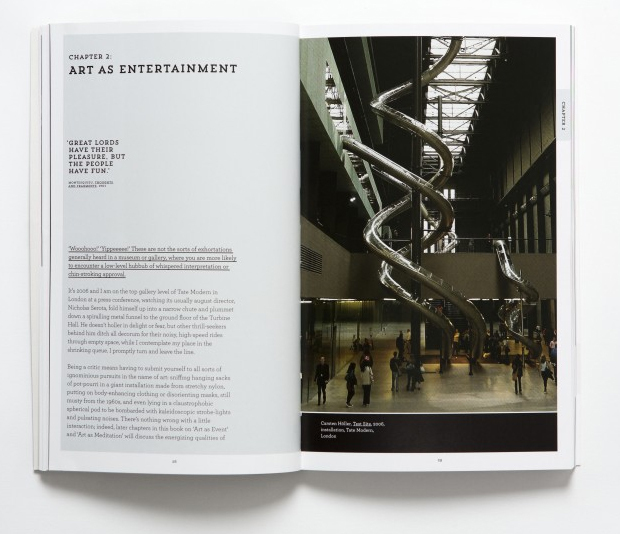 In addition, throughout his book, Ward provides us with wonderfully pithy ‘Spotlight’ features that lead us through parts of the TABULA approach with individual works of contemporary art — including explorations of Christian Marclay’s The Clock (2010), Carsten Holler’s whimsical Tate Modern installation Test Site (2006), Glen Ligon’s Warm Broad Glow (2005), and Roger Hiorns’s amazing and enormous Seizure (2009). When the TABULA approach seems a bit lacking, at least the discussions of contemporary art are enjoyable and digestible. The entire experience of reading these two ‘looking at art’ books side by side became eerily connected when I reached the final pages of Ward’s book only to find a Spotlight on Rembrandt’s Self-Portrait with Two Circles (1661) — a painting that de Montebello and Gayford could have easily included in their travels. Ward comes around full circle to the more traditional ways of looking at art that form the foundation of Rendez-Vous with Art, writing: “there is no better way to slow down and tabulate one’s appreciation of art than by sitting with one of the Old Masters.” No matter what approach or strategy you take when it comes to encountering art of any time period or culture, is there anything more essential than spending time to look, perceive, and use our multitude of senses to take it in? Written by Karen Shelby, Assistant Professor of Art History at Baruch College, City University of New York, and co-founder of Art History Teaching Resources (AHTR). This post was originally published online at Art History Teaching Resources, a streamlined, peer-populated teaching resources site sharing art history survey teaching materials between teachers. Most art history instructors include a museum visit or two in the semester schedule. But what if a museum or gallery visit is difficult to arrange dependent upon geographic location of the college or university, class size, or the time the class is offered? Even though I have access to numerous museums because I teach in New York City, I found that some of these challenges prohibited my students in engaging with the museum in what I considered to be a meaningful way. I often teach jumbo art history survey classes and there’s just no way for one instructor to physically tour 100 students around a museum at once in any meaningful way. If not class size, then my city college students’ schedules – job 1, job 2, family, other classes – meant they couldn’t make the visits I scheduled. For these and many other reasons, I increasingly found that it was often no longer possible to engage the students with a teacher-led museum visit (though where I can, I always still do!). Through several discussions with Michelle Millar Fisher at AHTR, we came up with the idea to film some of the museums in the city in order to help facilitate professor-led discussions in our classrooms before our students hit the museum. 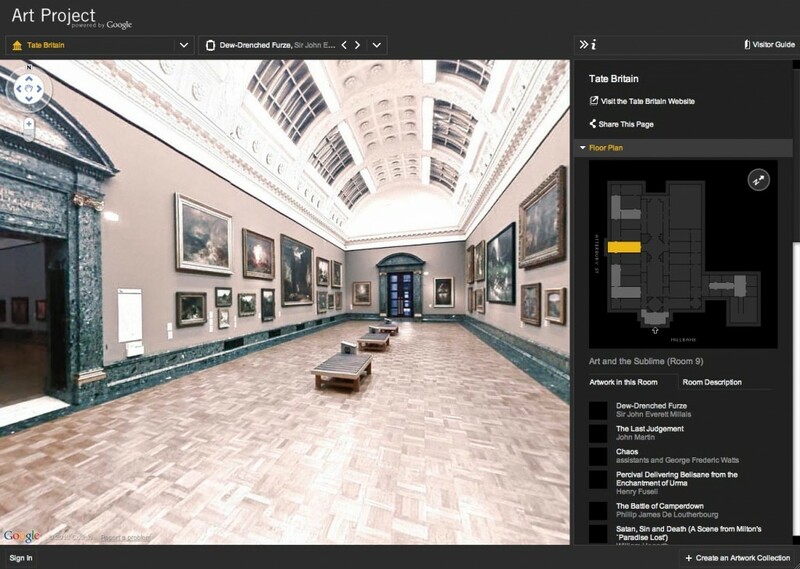 Google Art Project lets us inside the Tate Britain (among many other art museums) from our computer or mobile device. There are certainly helpful projects out there already that pointed towards our idea. But, while Google Art Project and Google Maps Street View allow students to view the interior and exterior of museum spaces, they are stilted and do not study the exterior façade and environment in the necessary depth of an academic exercise. We want our students to consider the politics of the museum space – how, why, and where the artwork is located in the museum, and the museum architecture itself. We ultimately got this project supported by two Baruch Learning and Technology Grants that supported the work of filmmaker and editor Thomas Shoemaker who filmed at least ten museums as well as two discussions among museum educators and art history instructors. We’re still working on uploading some of them to the AHTR site, and also redubbing them – one part of the learning process was realizing that having a score was distracting. We are currently reinstating the “wild sound” they were created with. We are in the process of editing and uploading the following films: The New Museum, The Brooklyn Museum, The Tenement Museum, and PS1 (we have some fabulous footage of Five Pointz from the 7 train before it was torn down). In addition, we recorded a conversation among Michelle, architectural historian and Big Onion Tour Guide Ted Barrow, and myself about the Metropolitan Museum of Art, and another between Laura Lombard, manager of University Programs and Partnerships, and Mike Obremski, a gallery guide, at the Rubin Museum of Art. What does it look like on the exterior and interior? What art historical period does it reference? Why do you think this style was chosen? How is the museum organized in the interior? Which are difficult to find? What do you think about this organization? Both Michelle and I have had some great pre- and post-visit class discussions spring from watching these films with our students. In one of Michelle’s classes, after students visited the Met independently (watching the Met Museum film before and after and discussing as a class), the students were asked to analyze the film that showed the Studio Museum in Harlem (without knowing the name of the institution) as an extra credit question on their midterm. Students showed confidence and facility with describing and interpreting the similarities and differences between the two exteriors, interiors, and neighborhoods. For example, they didn’t know the flag outside the Studio Museum in Harlem was David Hammons’ African American Flag, but they could interpret the difference between its symbolism (alternative, wishing to make a new statement about the politics inherent to the American flag) and the symbolism on the facade of the Met (classical, traditional, patriarchal). It was fun to parse this further after the exams were handed back, and to be able to continue to discuss – in a multifaceted way – spaces of display long after the museum visit had happened. We’re pleased to have these films available and we hope they become a valuable resource to the arts teaching community. The goal is to add to the collection with the help of the recent Kress Digital Resources grant awarded to AHTR, but also from contributions from our peers. We’d love to hear what you think of this project. What would you need changed or adapted in order to use it in your classroom or teaching environment? Could you make similar videos of institutions and places in your locality that we could post and share on AHTR? We’d love if others in the AHTR or ArtMuseumTeaching community would add to the collection expanding it beyond the currently New York City-centered focus. Help us create some additional assignments or discussion points to be added to the AHTR site. We want your feedback and participation! Editor’s Note: Here at ArtMuseumTeaching, I’m interested in the thoughts and feedback from museum educators about using museum videos and short films to prepare students for their own self-guided visits to our institutions. 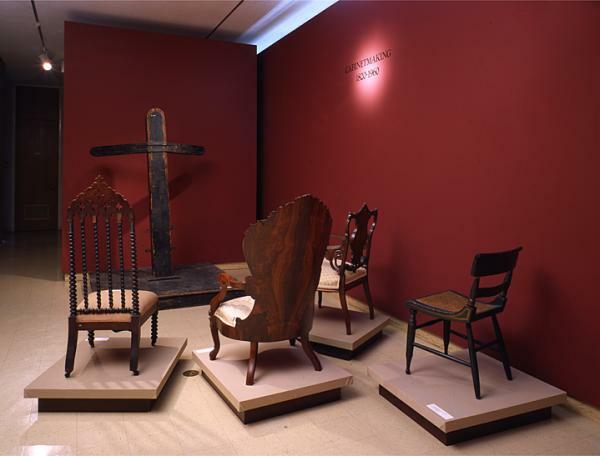 What are other ways in which art history faculty might connect their students to art museums, collections, and learning spaces they provide? Are there ways in which emerging technologies might allow museums to ‘enter’ the jumbo survey classroom in unique ways? 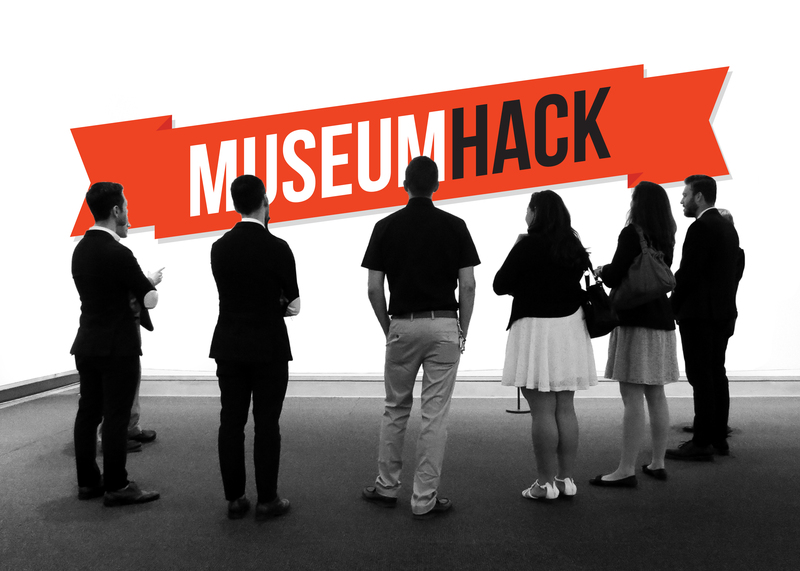 How might museums work toward connecting better with the needs of college and university faculty who might not be able to visit with their students? Your thoughts, questions, and ideas are welcome! **This post was originally published online at Art History Teaching Resources (AHTR). As John Dewey was integrating museum visits and other object-based experiences into his Lab Schools at the University of Chicago, Helen Parkhurst was incorporating similar principles into what would become the foundation of The Dalton School in New York City. Dalton is still committed to interactive teaching and learning in museum settings; witness my particular position as art museum educator and resident art historian within a larger Museum Program. In close collaboration with classroom teachers and other specialists, both inside and outside the school, the program integrates objects and images into the existing K-12 academic curriculum (especially in social studies and history). At the same time, it weaves age-appropriate methods and questions of art history across the school. My experiences at Dalton over the past 15 years resonate with new directions in art museum education, as the latter begins to explore its shared roots with progressive schools. 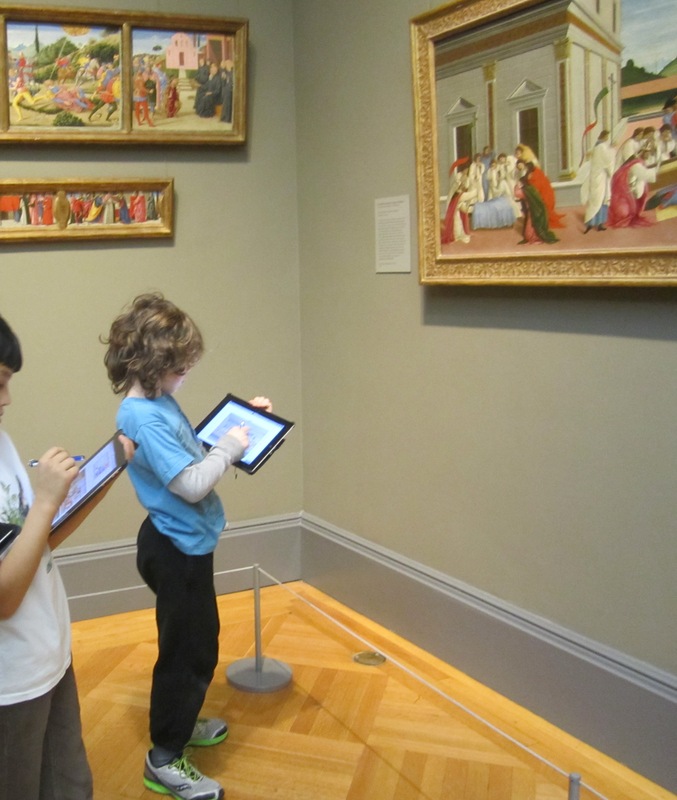 Third graders with iPads in the European Painting Galleries at The Metropolitan Museum of Art (Photo courtesy S. Brudnick). Third grade doesn’t get any better than an archaeological dig. Even a simulated dig, chock full of museum replicas and flea market finds that only look like they belong to the Age of Exploration. The challenge is keeping the analysis of the finds as engaging as their recovery. 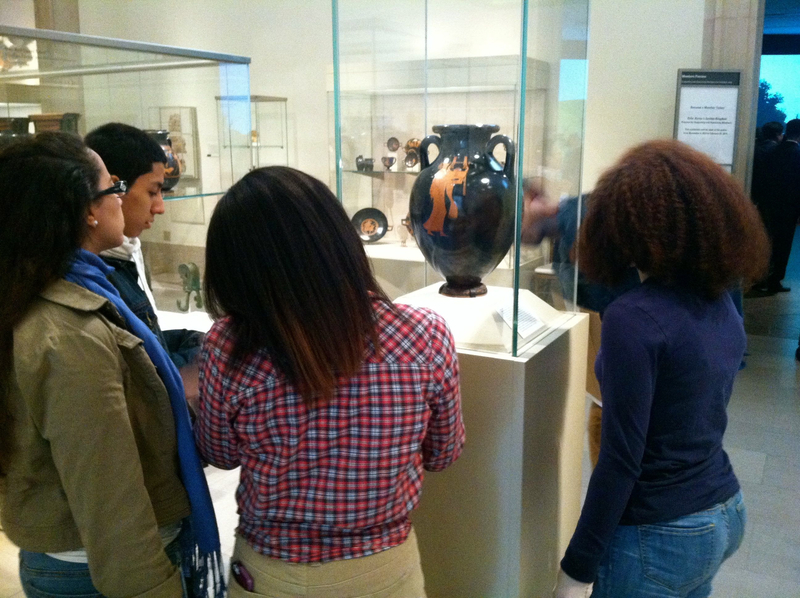 In one strategy, the students revisit the Met to find comparative materials with which to determine the possible place of production of their artifacts. Using iPads to document their finds, students rely on attributes of material, shape, and style: the bend of a tree trunk, the outstretched wings of a bird, the sense of spatial illusion. Such authentic analogies raise the level of inquiry. For example, were the artifacts from a century palace at Kashgar made locally (in Central Asia), or had they been imported from elsewhere? Why are there Chinese-style cranes on an inscribed Persian tile? By mapping their museum parallels, the students start to reconstruct the nature of exchange along the Silk Road in the time of Columbus. Their finds convince them that Kashgar was a major player in a trade network that stretched from Italy to China. 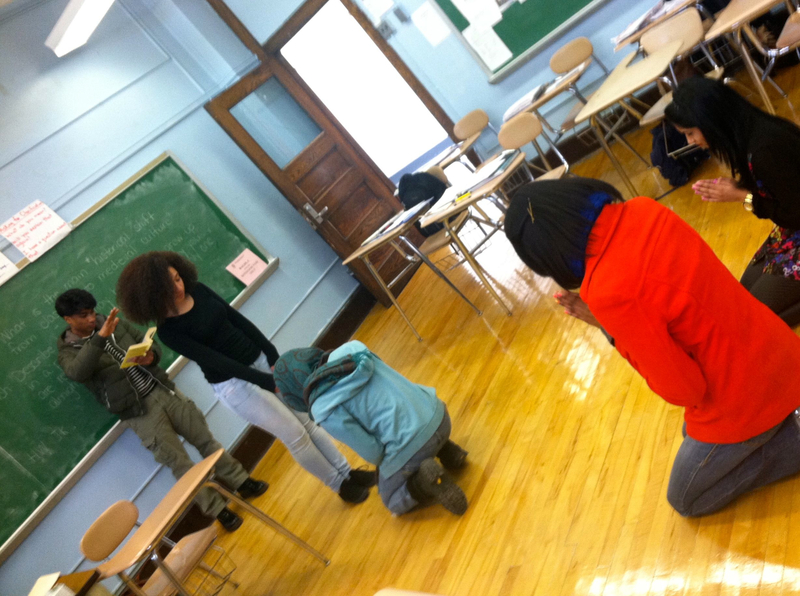 The students take ownership of a history they created from the ground up. While the archaeology provides the initial motivation, an authentic visual analysis sustains it. The use of art museum replicas as primary visual resources in school (whether excavated or not, whether high or low end) provides obvious opportunities for integrated museum visits, or for similar work with online collections. While the Met meets most of our needs most of the time (in terms of collection, proximity, and access), the smaller institutions can nevertheless offer more direct experiences with objects and curators. For example, a curator at The Morgan Library offers our fifth graders a remarkable opportunity with cylinder seals from ancient Iraq (ca. 3000-5000 BCE). He lets the students roll an ancient seal across damp clay to create a continuous impression of the engraved design. What makes this experience so humbling, rather than excessive, is the degree to which it is informed by a classroom curriculum. The students arrive at the Library familiar with the iconography and function of cylinder seals in antiquity, including, for example, the way they were used to mark tablets as signs of authority. 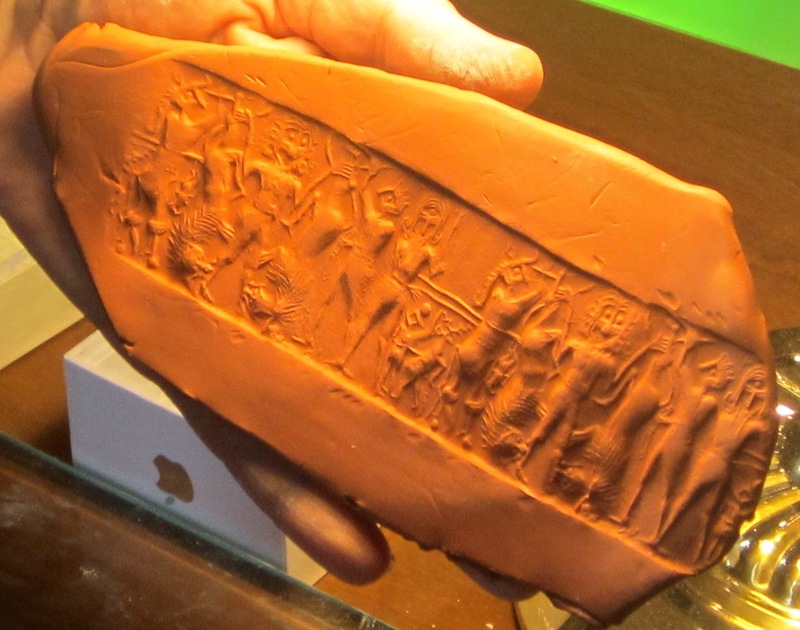 We are always delighted (but never surprised) to see the seal-bearing students quiver as they are transported back in time, knowing they are using the same object a Sumerian or Babylonian official did 3000 to 5000 years ago. The University of Pennsylvania Museum of Archaeology & Anthropology offers a different sort of experience for our fifth graders. It is based on the museum’s renowned position at the forefront of archaeological and academic research about the ancient Near East; as well as an unusual collaboration among a number of individuals at several institutions. The excursion is organized along the lines of a junior academic conference, in which students have direct access to objects, scholars, and ancient methods of production. 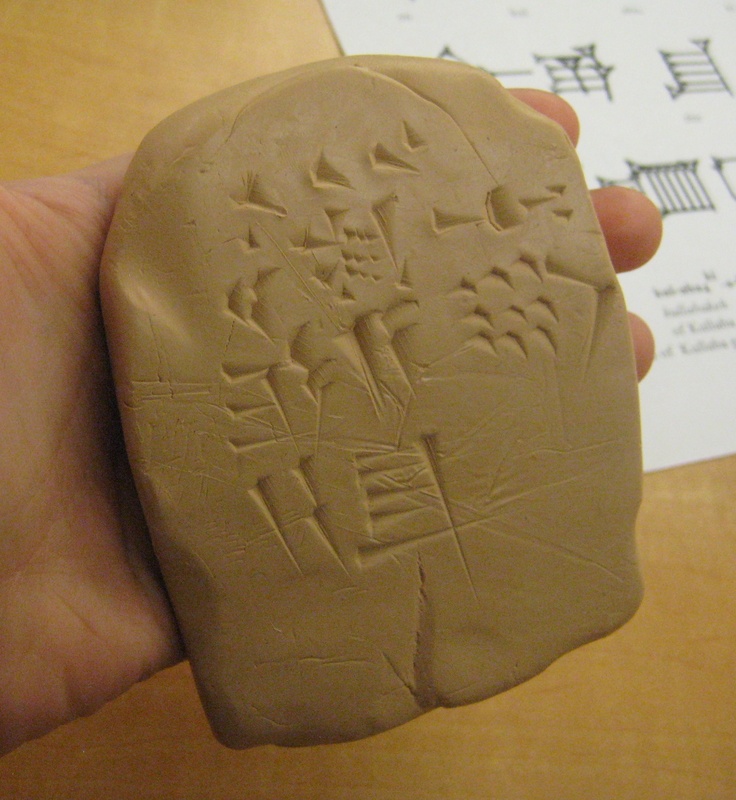 In one session, scholars let students handle ancient cuneiform tablets before teaching them how to make one of their own. One memorable moment has students passing around an ancient school tablet, used to practice making cuneiform signs on clay. They notice odd impressions along one edge. Are they ancient numbers? Is it damage? Finally, one student recognizes them as teeth marks! Indeed, a physical anthropologist had already attributed them to the teeth of a ten-year old. Suddenly, our fifth graders could identify with a scribal student who lived 4000 years ago, thinking of those moments of frustration when they leave similar teeth marks on pencils. In another session, the students explore ancient technology with a curator from the Met, who traveled with us. They reconstruct ancient gold-working techniques by examining artifacts on display, side by side with the curator’s own microscopic photographs of the same finds. Her new photographs had been loaded onto iPads for the visit. The University of Pennsylvania Museum activities make lasting impacts on both the students and the scholars alike. For the former, it authenticates their curriculum through the lens of experiential archaeology and current research. For the latter, it challenges them to re-think their conceptions of K-12 teaching, as they interact with 100 young learners who, they admit, are more engaged by the material than many adult audiences they encounter. I share these few museum visits — a sample of many dozens undertaken at Dalton each year — with a personal sense of excitement about the future of art museum teaching. I am encouraged to think that the recent turn by art museum educators can include renewed collaborations with progressive school educators. Our mutual interest in making visual materials accessible to a contemporary audience begs for the sort of collaboration, finally, that enriched progressive education at the turn of the 20th century. Granted, we face a challenge inconceivable in the time of John Dewey and Louise Connelly: how to take advantage of new computer technologies without compromising the direct experience with works of art. 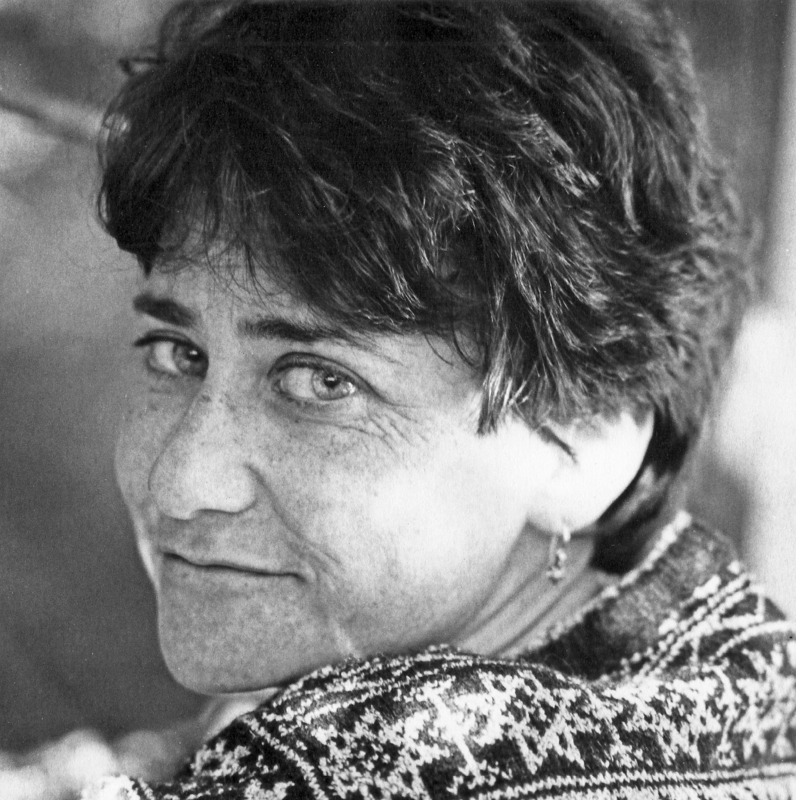 MICHELLE MARCUS earned her Ph.D. in Art History from the University of Pennsylvania. Before taking on the position of resident art historian and museum educator at The Dalton School in New York, she split her time between college teaching, curatorial consulting, and writing about the art and archaeology of the ancient Near East. 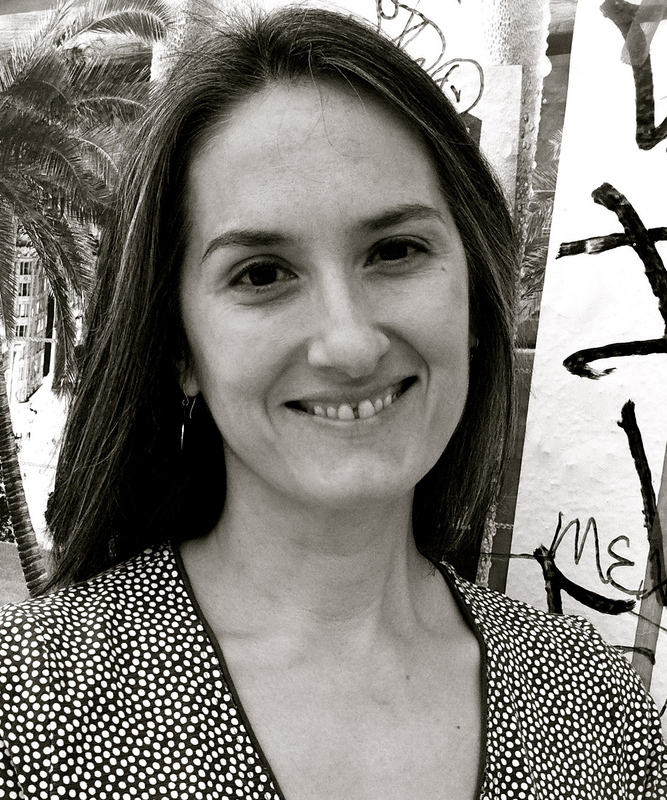 Her research and publications have been supported by grants from the Metropolitan Museum of Art, the Getty Foundation, the Mellon Foundation, and the National Endowment for the Humanities. 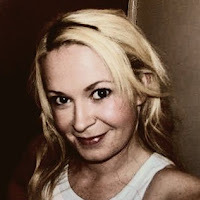 More recently, she has been speaking and writing about using images to teach history on the K-12 level. Beta grants from AMICO and Artstor supported her early efforts to use digital art images at Dalton. This year’s American Alliance of Museums (AAM) Annual Meeting wrapped up in Baltimore last week, but I’m still wrapping my mind around some of the ideas that came up in sessions and lively discussion (in person and via the Twitter hashtag #aam2013). Although the official theme was “The Power of Story”, I walked away thinking that another fitting tagline could have been the above quote from that classic of children’s literature, The Velveteen Rabbit, shared as wisdom from the Skin Horse to the titular lagomorph. The idea of realness and how that matters in a museum context was on people’s minds throughout the conference, enough that it had a whole session dedicated to it on the first day. “Is It Real? Who Cares?” brought together a group of museum professionals to engage the room in debate over some knotty questions. Before you get excited for a recap of that session, I’ll clarify that I wasn’t there. But they’ve set up a Tumblr that’ll give you some ideas of what you missed, and the handout includes some of the questions that may affect your thoughts about realness. Does authenticity of objects matter more or less to different visitors? Can display context render real objects fake or make fake objects seem real? Is the object rendered more real because it’s rare or one-of-a-kind? If I were feeling more academically-minded, here’s where I’d drop some quotes from Walter Benjamin’s seminal The Work of Art in the Age of Mechanical Reproduction about the aura that a real object has due to its very realness, but I’m only feeling academically-minded enough to use the word “seminal” and bring Benjamin up in the first place. Besides, he wasn’t speaking at AAM, so I’ll move on. 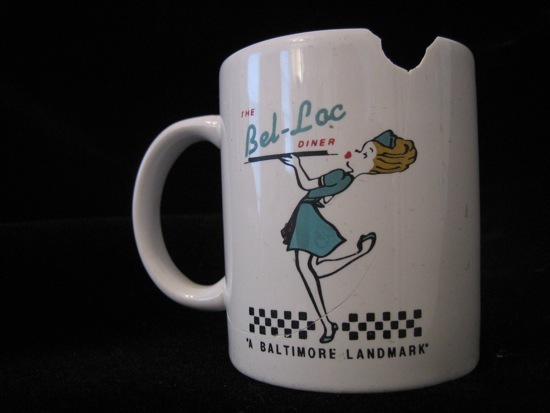 the mug whose breaking set Rob Walker wondering how stories make us care more about objects, or, as it says on the project’s website: “O.G. S.O.”, photo used with permission from Rob Walker. I’m sorry I missed “Is It Real? Who Cares?”, especially because it was the beginning of what became a thematic thread I followed throughout the rest of the conference. In Tuesday morning’s session, “Significant Objects”, Rob Walker talked with the Center for the Future of Museums’ Elizabeth Merritt about his project of the same name, which started out with Rob and Joshua Glenn collecting thrift store tchotchkes, inviting an array of creative writers to contribute fictional short stories about the objects, and then selling the objects+stories on eBay. You can probably guess the punchline. The $128.74 worth of knick-knacks sold for $3,612.51. But did that make those knick-knacks more real? Would purchasers have paid more if the stories had been nonfiction documents of the objects’ histories (the kind of thing we love to include in museum labels), or was there something special about fiction that drove up the value? As Elizabeth Merritt put it in that room, there are plenty of stories museums choose to tell about their objects that are factual, but not terribly enlivening or enlightening. Lively! Fun! Encouraging people to see museums in a different way, much like the material shared in the alliteratively alluring AAM session called “Magnificent Masters of Museum Mysteries: Narrative Games in Museum Contexts.” Seema Rao from the Cleveland Museum of Art, Susan Edwards and Rebecca Edwards (no relation) from the J. Paul Getty Museum, and Georgina Bath Goodlander from the Smithsonian’s American Art Museum all shared games they’ve developed that ask players to use museum objects to help move through stories. The objects are central to the game experience (visual clues often help answer questions that lead to the next step), but the games aren’t designed to specifically teach the player about the objects. 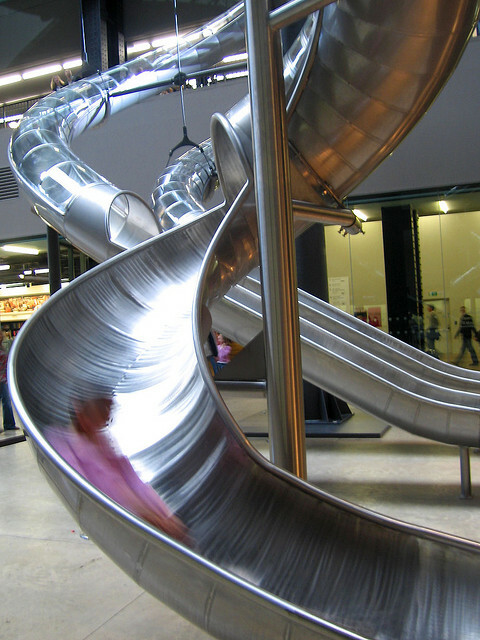 There are lots of great examples of this kind of approach that privileges the visitor experience and makes museums fun (*gasp*). Amuseum Guides and MoMA Unadulterated do it. The Metropolitan Museum of Art’s Murder at the Met: An American Art Mystery does it, inserting museum visitors into a fictional story that requires looking closely at the museum’s objects and allows some leeway between the fact and fiction of the contextual, historical information about those objects. 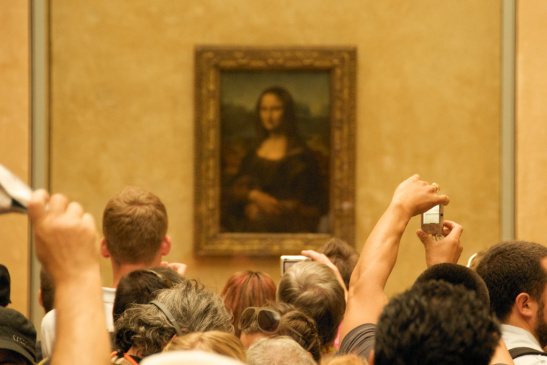 Visitor engagement and careful observation are the goals, not formal learning about the art. A true experience in the museum that doesn’t rely on real facts to make it so. But how does this sort of true–though not altogether real–experience balance out with museums’ responsibility to offer audiences truthful information? A central question throughout these sessions, but nowhere more relevant than on the last morning at “Talking About Race: ‘Mining the Museum’ After 20 Years”. Here was a panel of educators, scholars, and curators talking about Fred Wilson’s 1993 exhibition, “Mining the Museum” at the Maryland Historical Society, where he re-curated displays to juxtapose objects like iron shackles with elaborate silver serving ware and highly finished wooden chairs drawn like an audience around a post once used to whip enslaved people. Wilson himself joined the panel and spoke eloquently about what inspired the exhibition in the first place. He talked about being mad walking into museums and not seeing racially diverse stories represented. “It made the museum complicit in the evils of the past,” he said. The idea of provenance came up and was questioned. How is provenance determined, after all? Is it who owned a thing? Who cleaned a thing? Certainly in most museums, that first one trumps all. Ownership tells us one part of an object’s story, but it’s far from the whole story. And so ended AAM with these unresolved issues floating through my head. What makes an object real? Who determines that realness? How important is that realness to a museum visitor? And, maybe most importantly to those of us in the museum field, how can a museum balance out the nebulous concept of realness with an authentic, true experience. For a moment… Then I opened my eyes and heard the party, and Uncle Jim calling me, and my brothers laughing… And life went on. I don’t have neat answers for these questions, but AAM certainly got my mental wheels turning. Do you have answers? Thoughts? Examples of how you find this balance of real and true in your own museum work? 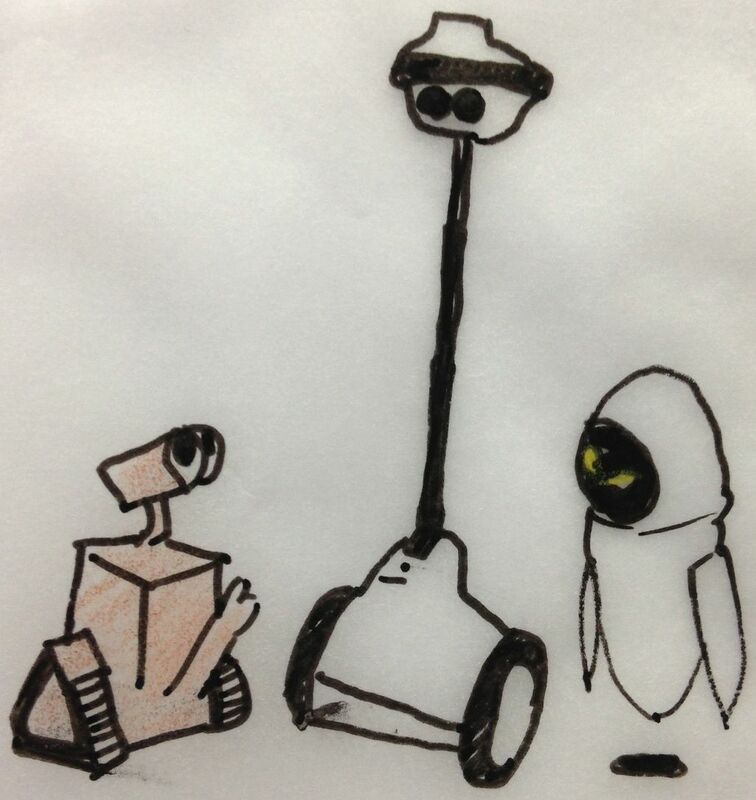 Anybots meets Wall-E and Eve. One company exploring the idea of digital presence is Anybots, a team that has created a roving avatar robot with video screen projecting the face of a remote participant. The robot is controlled remotely and reacts to speech frequencies to directly address and react to questions or comments from multiple people. Right now, the Anybots are in the hypothetical realm (due to the hefty $15,000 price tag). 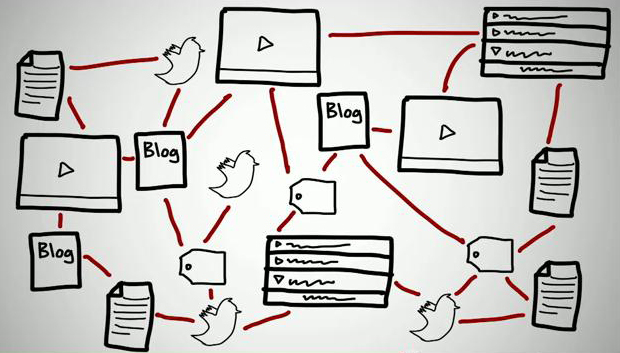 What Can Art Museums Learn from the MOOC Phenomenon? Despite there being some skepticism — mainly in relation to the quality of education, incidents of plagiarism, and low completion rates — the popularity of online education platforms continue to grow. In an article entitled “The Year of the MOOC,” Laura Pappano writing for the New York Times reports how the online learning revolution–that reportedly started when more than 150,000 willing students enrolled on an “Introduction to Artificial Intelligence” course back in the fall of 2011–has grown at an ever increasing pace. As an example, some 370,000 students signed up for the first official courses from edX, a nonprofit MOOC created by Harvard University and the Massachusetts Institute of Technology. 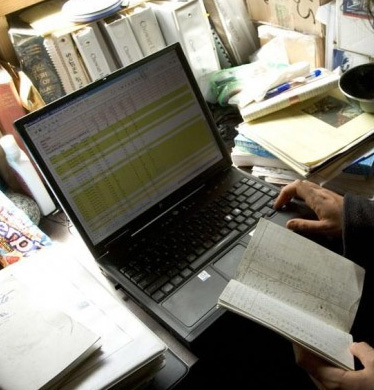 edX is not alone in attracting record numbers of online students. Coursera, a for-profit MOOC created by Stanford professor Andrew Ng, has seen 1.7 million students sign up since its inception. The pace at which online learning is traveling continues to grow. The year 2013 is set to herald a new offering from the UK’s Open University. Futurelearn, the country’s first real step into MOOC platforms is set to offer courses from Kings College London, the University of Warwick, and others. Meanwhile, back in the U.S., 2U (one of ten startups changing the world according to Forbes) is planning to advance the field of online learning even further by by offering paid, for-credit undergraduate degrees from the likes of Duke, Vanderbilt, and Emory Universities. With online learning platforms showing no immediate signs of abating, the question remains how art museums can play a role in this sweeping open education movement? It seems that they already are to at least some extent . Initiatives to deliver art to the masses by the likes of the Khan Academy, Google Art Project, The Virtual Hampson Museum, The Giza Archives, and Europeana have been heralded by some as offering an opportunity for those alienated from the world of art to get involved and slated by others who argue that images of famous painting and other artifacts are all well and good, but fall short as an adequate substitution for the real thing. Perhaps the best path forward for museums looking to make inroads in online learning is to create courses that can act as complementary to personal visits, but also provide more than enough information to be sufficient in their own right for those who cannot (for whatever reason) attend in person. Thanks to the Google Art Project and the expansion of the Khan Academy into art history, displaying works online is likely to become increasingly commonplace for museum and art galleries. Steven Zucker and Beth Harris, in their article explaining why the Google Art Project is important, report that other museums have started to make public domain images available for download – namely The Brooklyn Museum,, Metropolitan Museum of Art, and The National Gallery of Art. As a result, those who do not get involved may well be left behind. While there is much discussion about what these open technologies are not, what we do know is that they are expanding opportunities like no other and it can be reasonably said that the museums themselves should join others in discussing the options for learning. And isn’t learning what it’s all about? 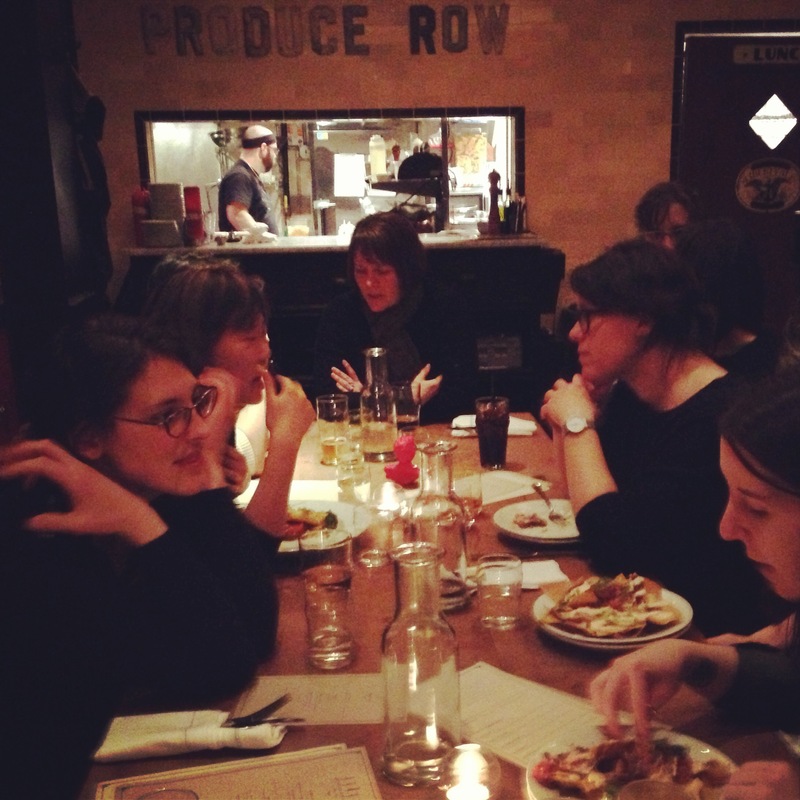 Drinking about Museums: Portlandia Edition … and MakerBots! Who: Sparked by my new love for OMSI and their staff, we gathered together interested people from their education and exhibit design departments along with people from our education and digital collections departments at the Portland Art Museum. The evening began at the Oregon Museum of Science & Industry (OMSI) in their technology lab and maker space — an area of their museum in which they are playing with new forms of creative engagement and participatory design. David Perry, OMSI’s Director of Museum Education, and Kristin Bayans, Senior Educator, both hosted the group along with many other OMSI educators and staff. We all got to know each other through some fun (aka ’embarrassing’) activities, but mostly we played around in the learning lab space and got to chat with each other about what we do. When you get so many creative, high-energy museum people together in one place, the ideas start flowing … and I feel that we came away from the night with tons of potential for meaningful collaboration. For me, one of the first experiments that will likely come out of this exchange is a couple MakerBot 3D printing workshops at the Portland Art Museum, allowing education staff from both institutions to play with this technology and its potential applications for an art museum. I could not agree more, and this has made me so excited to experiment with some workshops here at the Portland Art Museum around these technologies, and ensure that the museum can be a place for open creative exploration. 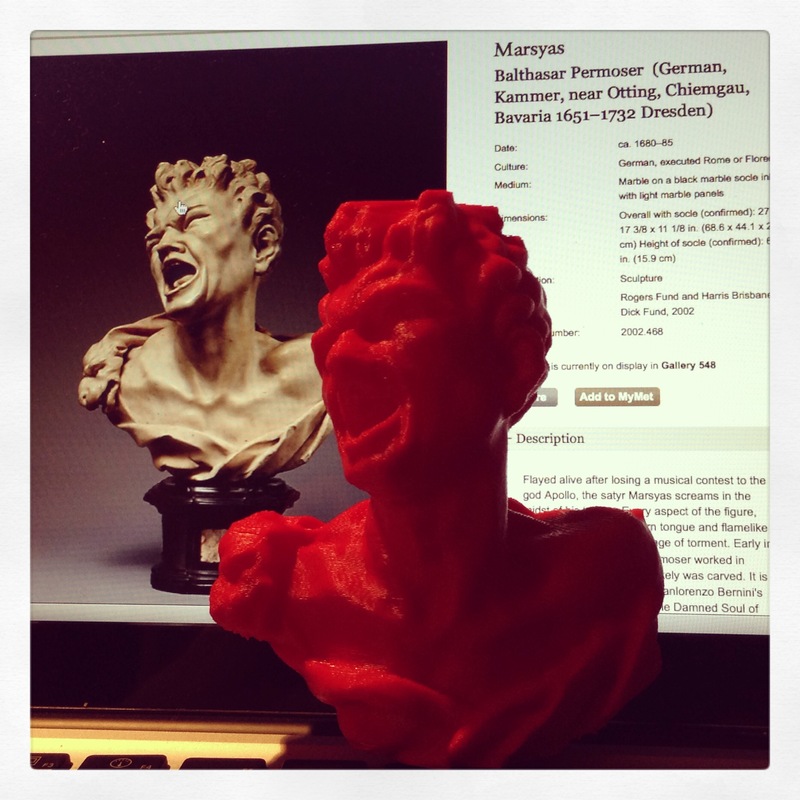 And, besides, now I have my very own 3D-printed replica of the Met’s sculpture of Marsyas by 17th-century German sculptor Balthasar Permoser … what could be cooler than that! 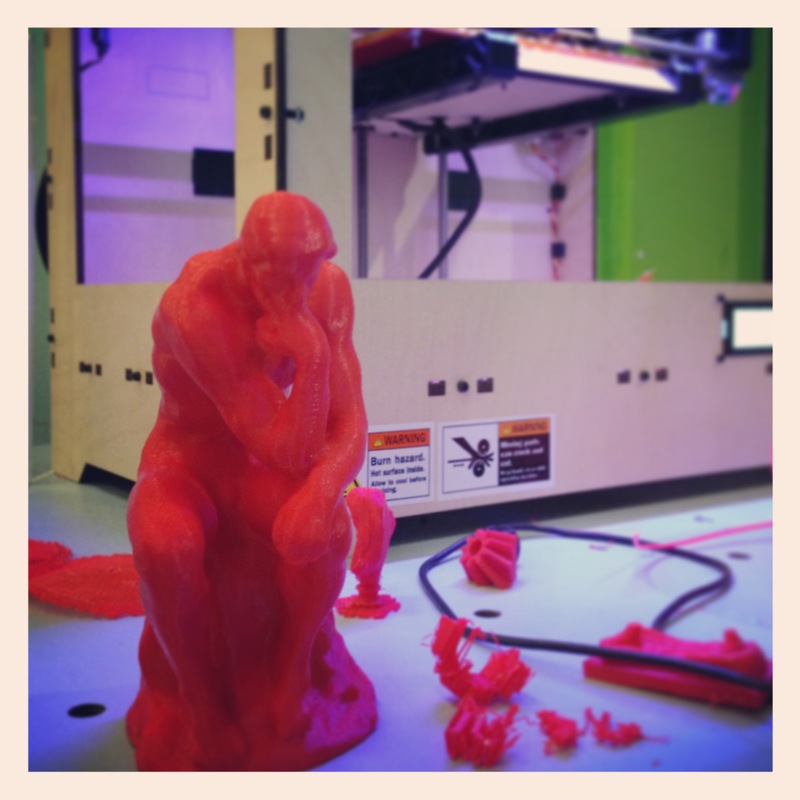 Obviously, there will be more discussion coming up on this site around 3D printing and museums, especially the impact this type of work might have in the teaching and learning realm of the museum. But I would encourage everyone to learn more about what the Met has been doing, and check out the objects and the 123D Catch scene files you can download to make your own replicas. OK, so that is a quick report from Portland’s first ever “Drinking About Museums.” I look forward to opening this up to more and more museums across Portland, and exploring the way we can learn from each other as professional, as creative thinkers, and as people. Cheers! Almost every museum offers some sort of “introduction to art” among its school visits themes and programs. It sounds so simple, right? Tempting to a teacher, maybe – but daunting to an educator. Finding a way for students to gain a sense of art in one hour can seem like an impossible task. But for many students, this is their introduction to art. It’s easy to forget how many initial impressions museums make every single day within school programs or guided class visits. Other students, after a less-than-positive experience, might benefit from a new re-introduction. 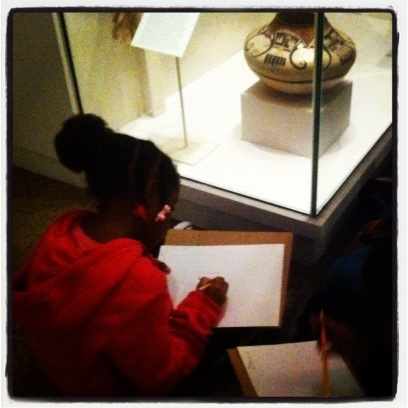 Even the most engaged, enthusiastic, museum-loving student is exposed to a new perspective of art. So to meet the needs of students with little to no awareness of what art or museums are (or can be), where do we start? While the amount of time, thought, and research that goes into an introductory experience naturally varies by educator, very few (if any) are just choosing objects arbitrarily. From the outside, school visits are sometimes seen as the “easy” work. Rika Burnham makes the excellent point that gallery teaching has historically been passed down to those with the least experience, and undervalued by those outside the field. But as any museum educator worth his or her salt knows, many of the theoretical goals and practical issues that must be taken into consideration are matters that, if handled properly, won’t even come to a participant’s attention. What do I want students to know when they leave? How much variety should I try to include (in terms of medium, technique, time period, geographical area, culture, and artist) in order to give a balanced view of the extant range of art collections? Should I help students understand why “traditional” forms of art, like ancient Greek sculpture, are so interesting, or should I show items they might not be expecting, like a mask made of high heeled shoes? There’s also the ongoing question of how best to balance information and inquiry. As the museum education field moves farther away from a lecture-based model and into a more discussion-based model, I personally find it necessary to clear up the misconception that museum educators simply provide a lot of facts about works within the museum. An inquiry-based experience (which of course means not only asking the group questions to start a conversation, but creating an opportunity for them to ask questions, consider possibilities, and initiate discussion) aligns much more closely with the tenets of the Montessori method that I was taught and trained in. For an introductory experience, I think that the most valuable role of information is to show that it can change perception. I research works thoroughly, but rarely use all of or even most of the information that I find — just the bits that will open up new avenues for discussion. What are artists trying to do? How does art relate to our life, and why is it important? 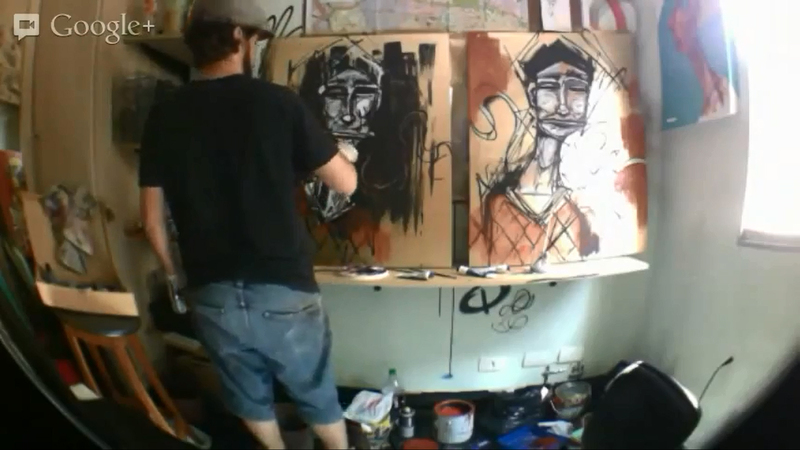 How do artists use visual techniques to communicate with viewers? For example, there is an incredible statue of Ugolino from Dante’s Divine Comedy in the Met. The expression, the bodies, the execution, and the story behind it all grab the viewer’s attention. Everyone can identify with the feeling of hunger, and can imagine the horror of being locked up and left to starve. But even before we have puzzled out the story, participants are struck by the anguish in his face (it is often described as sad, or angry, or confused) and note the nakedness of the bodies – both of which seem obvious but are keys to the narrative. As we move on to the curled toes, the son’s imploring gesture, and the shackles, each discovery opens up new possibilities, increases curiosity, and unlocks the potential for deeper levels of understanding. After we piece together the story, we can talk about what the artist might have been trying to accomplish by creating this piece. We talk about what it might can say to us, how its themes relate to our own lives, and how the object could be used. I love to hear where students would put this statue if it belonged to them – one of my favorite responses so far was an immediate “in the CLOSET! !” The certainty with which this opinion was expressed was both amusing and encouraging, and it provided a great opportunity to discuss how the statue was provoking certain emotions in the group. I feel that an experience is successful if I can enable visitors to understand that looking at a work carefully really will make it open up. I always explain that we see hundreds of images every day, and it’s easy to glance at something and think you’ve seen it. But just taking a few minutes to examine a work more carefully can change your entire perception of it. Questions start to come up, and even if no answers are provided, new information is revealed and new possibilities are explored. So another hugely important consideration is what objects have a high potential to draw the attention of visitors who may be unfamiliar with art. Though all art has value, of course, some is more challenging for a new museum visitor to engage with. For example, a Native American storage basket, while clearly finely made, might be a bit more difficult to think about and talk about than something like a Japanese handscroll, which is similar to an illustrated book and therefore builds on something that the visitor is already familiar with. One of my favorite works to use as a first stop in introductory tours is a French tapestry depicting the moment Artemis is turned into a stag by Diana. The feeling of understanding and achievement that visitors have when they determine that this is a narrative image allows them to enter into the experience with a sense of confidence. Exploring this large image of figures making dramatic gestures in an unusual setting enables students to begin a discussion that can lead to consideration of important themes like transformation and identity, of topics like the unexpected but important medium of tapestry, of the ability of objects to communicate messages of power and prestige, or of something else entirely – whatever comes up! Is this object’s experience going to be engaging enough and valuable enough to make up for any difficulty in getting here? Is the object clearly visible from a child’s height? Is there a glare on its surface if it’s viewed from a seated position? Is the work in a high-traffic area, an echoey space, or a particularly cold room? 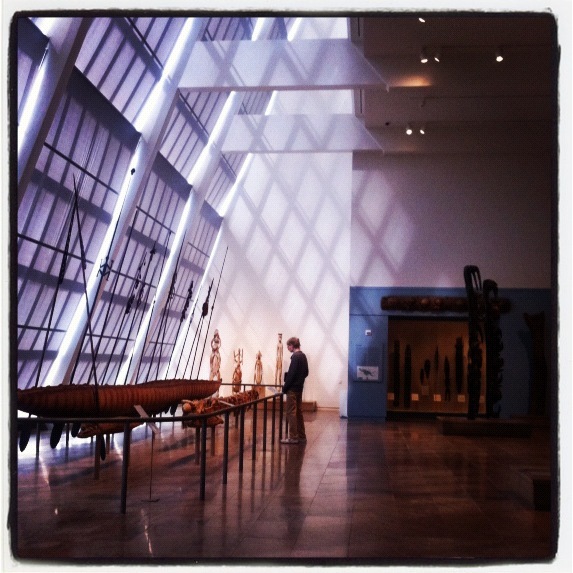 Museums are often an unfamiliar environment, and they can be overwhelming. Constantly dodging other visitors, feeling too cold, or hearing construction or cafeteria noises can get distracting enough to make the experience an irritating one rather than a supportive one. In order to focus on the works, visitors have to have their essential needs met, and only then can any real transformative thinking take place. That doesn’t mean this is easy. It can be very difficult to eliminate works based only on these logistical issues. There is a great painting of Hercules fighting Achelous in the form of a bull that I would love to share with groups – it’s large, it’s dramatic, it’s intriguing, it has a great back story, and it’s a great example of a type of visual storytelling (small depictions of previous and later scenes are included in the background). It would provide the perfect opportunity to talk about power, achievement, heroicism, identity, authority, transformation, representation, narrative, etc. BUT, sadly, it’s just not workable. It’s on a different floor of the museum than I usually use, and you have to walk through the crowded Great Hall to get there, and we would sit with our backs to the room and the stream of traffic through it, and a large portion of the top half of the painting is obscured by a glare when it’s viewed from the floor. But really, any one of those reasons would be enough to eliminate it from my list. A child rattled by the stress of navigating through a crowd isn’t going to turn his or her full attention to the object when we arrive. A student who can’t see Hercules’ hands won’t be as likely to take an interest in his feat. And in the time it would take just to get there, we could be discussing an additional work of art. Finally, my last and maybe most important overarching goal is to show students that art is nothing to feel uneasy about or intimidated by. In my opinion, a key objective in teaching should always be to encourage visitor’s responses and validate their opinions. I just want visitors — especially children, and those who haven’t made the decision to come on their own — to see that there is no pressure, that art is just another way to communicate, and that there is always something recognizable and relevant in the work and its response. So putting all of these things together to create one “introduction” to “art” is a huge challenge as an educator and gallery teacher. I’m fortunate to be in an encyclopedic art museum with an amazing collection, but that also means that my options are essentially endless. Is there anything you think can’t be missed? Anything that really kills an experience for you? Anything else you think should be taken into consideration? I would love to open up a conversation about how we, as educators, prepare for these introductory museum experiences. EDITOR’S NOTE: As ArtMuseumTeaching.com has been active now for more than 7 months with tens of thousands of readers, I always want to make sure we cover the full range of issues pertinent to our field and areas of practice. One area which has received little attention in the recent discourse (especially in key publications) has been our work as educators with our school communities — especially the nuts and bolts of developing transformative, meaningful experiences with students on tours. And I didn’t even need to make a call for posts, as several contributors recently submitted their own thoughts and reflections on this issue. So I invite you to read the first post by Christine Healey who provides a working manifesto on school visits that we both hope opens up a dialogue on these matters. Christine’s post followed by the above reflection from Kate Sutlive who writes about her own practice in preparing for and leading inquiry-based school tours that introduce students to art. Enjoy, and as always, add your thoughts and perspectives to the mix.